This page was first implemented in April, 1996. Since then, a lot of changes have happened on the internet and one of them is the demise of Usenet groups. As far as I can tell the group soc.history.medieval is no longer a group dedicated to medieval studies. This page has been essentially stagnant since 2002 and I haven't done any substantive updates since then. This page has been visited times since August 22, 2006. --From their website: "ARMA is an educational non-profit organization dedicated to the study and practice of historical fencing and the exploration and promotion of our Western martial heritage." De Re Militari -Military history site. --Per the website: "A resource for historic arms and armour collectors. --Page providing links for students of Medieval art. --Home page for the American Branch of the Richard III Society. The site contains both primary and secondary online sources for 15th-18th century periods, editions of Shakespeare�s Richard III as well as essays on the play, information about the society and membership, and a bibliography of resources for students. It also contains information for the William B. Schallek Memorial Graduate Fellowship Award and a downloadable application. Good site for those interested in both the history and theatre surrounding Richard III. 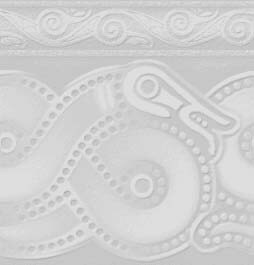 --Site providing information and other links on Celtic and Gaelic languages, music, and general Celtic information. --A web page listing of conferences dealing with subjects related to Medieval Studies. SCRIBE --Serious Creations of Renaissance Information By Electronics. --Includes a section on citing internet resources. --One of the most widely known and recognized sites for Medieval Studies. It contains a large number of resources for Medieval Studies such as: a library of texts, professional publications and organizations, pedagogical resources, and text, image, and archival databases. --Devoted to digital images of Medieval manuscripts. Good starting point when looking for images of texts. --Provides access to downloadable program called Lingua Latina, Ancrene Wisse, a list of Beowulf links and resources, and some other links. Lingua Latina is a shareware program designed to drill students on Latin grammar and requires Windows 3.x or higher. --A site dealing with Boccacio's works and the culture in which they existed. It has sections dealing with literature, society, history, religion, the plague, maps, and a bibliography. It mainly deals with the 13th and 14th centuries. The site offers the Decameron in Italian and in an English translation. --This site provides a table of contents for issues of the journal itself as well as a list of upcoming articles. Unfortunately, with the exception of a few articles, it does not have the articles accessible via the net. --Home page for business offering authentic ancient and medieval antique jewelry as well as modern replicas of ancient and medieval jewelry. --Home page for the Institute for Advanced Technology in the Humanities (IATH). --Deals with the Medieval Jewish Kingdom of Khazaria. It also provides links to other Jewish history pages and provides a large number of non-Jewish history and archaeology pages. --This site is a project with the aim of covering narratives, records, and other writings about the plague from 1348 to 1530. Currently it only covers a few areas around the year 1348. --A large list of links to various areas of Medieval Studies. Organized by subject sections. --A book by Marshall Faintich, Ph.D., on the use of astronomical symbology on medieval coinage. The page provides an abstract and table of contents as well as information on obtaining a free softcopy or a paper copy (for a small fee). --Information about the association plus list of academic discussion groups and links to medieval sites. --A database containing Latin music theory written during the Middle Ages and Renaissance. --The Early Church On-Line Encyclopedia (Ecole) Initiative is a site dedicated to church history. It focuses on the period of early church history to the Reformation. It has links to primary sources as well as a plethora of scholarly work. A must for those interested in church history.